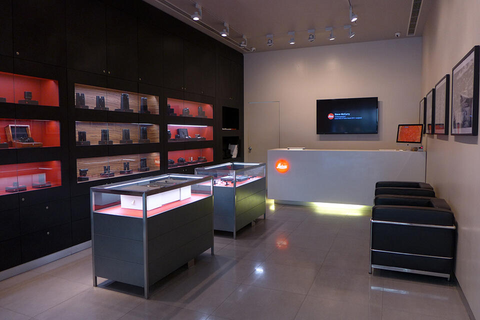 Shanghai’s Leica Store is located in West Nanjing Road, surrounded by luxury brand boutiques. It displays a full range of Leica products, including cameras as well as binoculars. The store's own Leica Gallery shows exhibitions of the latest pictures and photographic works form the world of Leica photography. Thus, the Leica Store Shanghai is the right place for sharing the Leica culture with all photo lovers and visitors. The Bund is a waterfront area in central Shanghai (about 4 kilometres away from the store). The area runs along the western bank of the Huangpu River to the eastern part of Huangpu District, facing Pudong. Along the promenade, you will see long-standing buildings of various architectural styles that were built during the former Shanghai International Settlement area alongside with Shanghai's modern skyscrapers. It is undeniably one of the most famous tourist destinations in Shanghai. The Bund at night is especially magnificent. We recommend you bring a tripod to assist you in recording these unforgettable night scenes.